Thousands of Eritrean-Swedes and Swedish citizens took to the streets of Stockholm on Friday for a rally against an increasingly politically influenced and hostile Swedish media, according to activists who attended the demonstration. The demonstrators came together after a series of biased and demonizing coverage of Eritrea and Swedish-Eritreans was broadcasted by SVT, a television network based in Stockholm, and Expressen, a tabloid magazine infamous for fudging the facts and harassing Eritreans. Although the crowd count could not be independently verified, organizers estimated nearly 2,500 protesters from across the country descended on the nation’s capital. In a show of solidarity, several demonstrators even came as far as Norway and Denmark to attend the rally. On February 25, SVT aired a politically motivated documentary intended to vilify the hard working Swedish-Eritrean community.What resulted from this was a heinous arson attack against three Eritrean community centers within hours of SVT's broadcast. Despite the arson being one of the largest terrorist attacks in Sweden's modern history, most major news agencies in the Scandinavian country brushed it aside, raising suspicion that the Swedish media may fear an investigation linking their media assault against Eritreans with the terrorist attack. Long known for their patriotism and tight-knit community, the arson attack and media demonization against Eritrean-Swedes has sparked outrage among Eritreans worldwide. Although an investigation is still ongoing, most believe Expression and SVT should be held responsible. 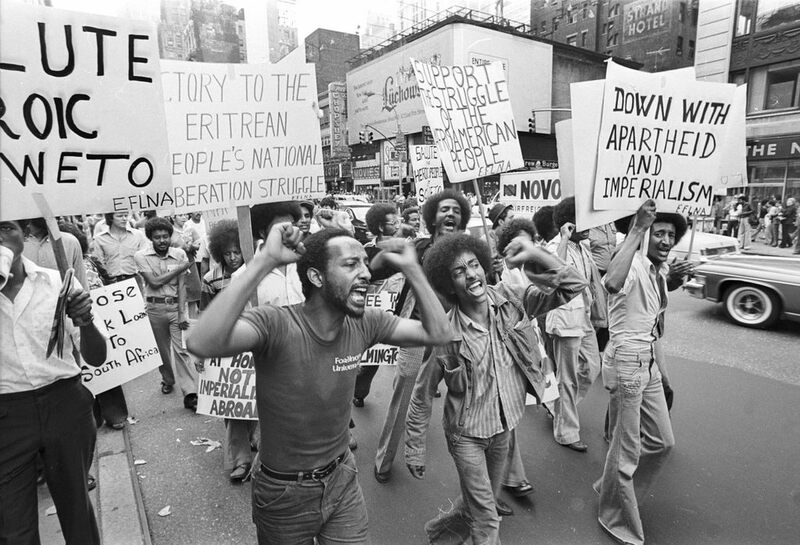 For more photos of the demonstrations, please visit Young YPFDJ's photo albums. skin color by the Swedish media in order to fan the flames of xenophobia.